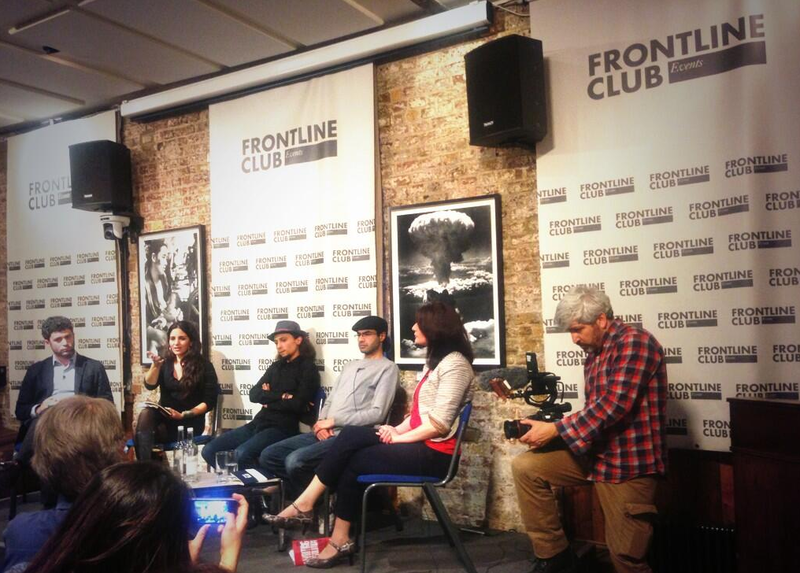 On Tuesday 29 May, the Frontline Club showcased ‘Writing Revolution: the Voices from Tunis to Damascus’, a book which celebrates some of the best new writing to emerge from the Arab Spring. The collection of articles and essays focusses on what the revolutions, which have rumbled across North Africa and the Middle East over the past three years, mean to journalists, bloggers and activists in the region. From Cairo to Damascus, Tunisia to Bahrain, the essays and articles highlight the drastic differences between the revolutions which have often been painted with the same brush by the mainstream media. They also explore the histories of the people and their countries, dispelling the myth that the Arab revolutions came from nowhere. “We wanted to show how much struggle and how much sacrifice happened in the years leading up to the uprisings,” Cassel said, adding that “creative resistance” was a large factor in the uprisings. He also mentioned that he wanted to write about Libya’s history and Gaddafi’s influence on the country. Throughout the debate, the editors and writers spoke about the other contributors they encountered along the way.